Are you having a SOUPER day? I think in life we get caught up in the rush of getting it done. We waste time on our phone scrolling through other people’s lives. I decided that I was going to put my phone down and create special memories with my family. 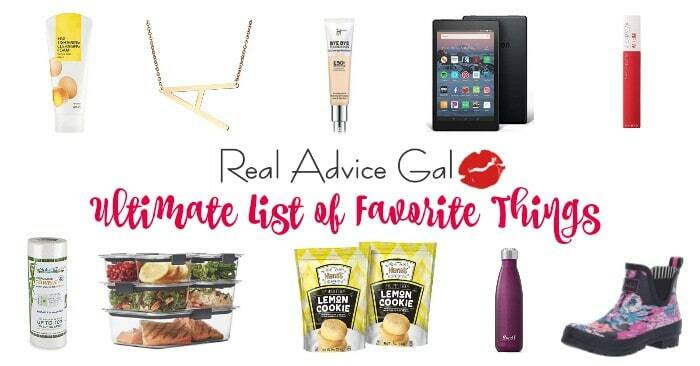 You know if you read my site that I am always looking for ready to eat food options that use ingredients that I feel comfortable sharing with my family. My daughter and I were planning her birthday party. She was having a party at our home so we were talking about meals that were tasty and quick since we wouldn’t have much time between school and the party. I wanted a great meal with limited clean up. We were at Walmart, so we pick up some Progresso Ready-to-Eat soups. Progresso offers families like mine a simple and delicious solution for turning everyday meals into restaurant-inspired pairings and special memories. They have a variety of choices that suits every taste bud with, Traditional, Light, and Rich & Hearty, you can make creative pairings for different occasions. 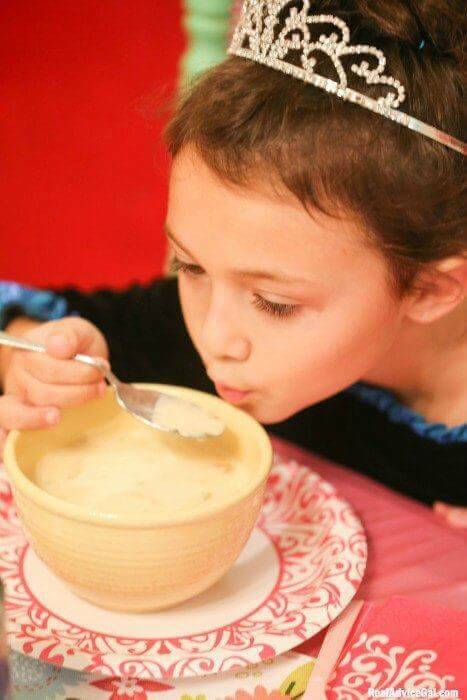 She picked the Creamy Roasted Chicken with Herbs Dumplings for our “Souper” treat. We got home and poured the soup into the pan. Then we got to work on our table decor. I have a little princess so she decided it would be fun to have a tea party. 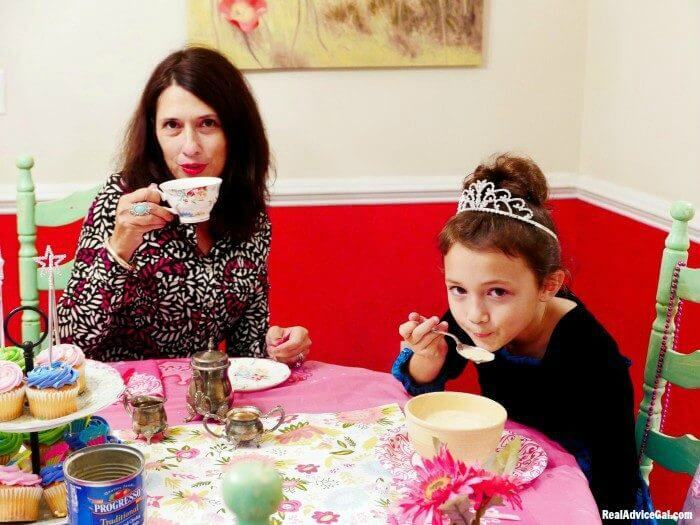 I am all about having a tea party prior to a major birthday party. I mean who doesn’t have time for a cup of tea and bowl of Progresso soup especially when you are asked my the royal highness. 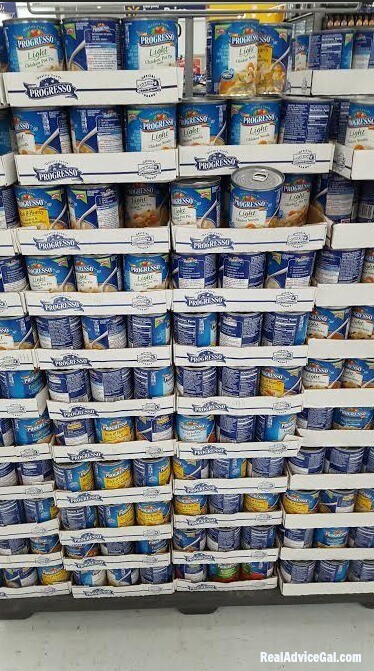 They have tons of flavors to choose from, you can visit Progresso at Walmart to find your favorite. Do not forget life is about making memories it is something I am working on each day. You do not need to create elaborate meals that take hours. It is more important to create special meals that you can easily enjoy. We made ours in minutes and spent the rest of the time enjoying one another’s company. 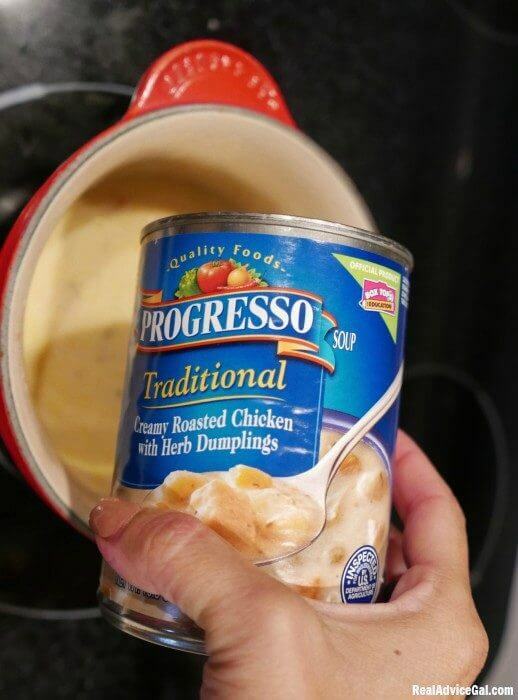 If you have more time and aren’t between school and a major social event, this is another great recipe using the Progresso Creamy Roasted Chicken with Herbs Dumplings ready to eat soup. I get 1 lb chicken breasts strips and place them in my baking dish. 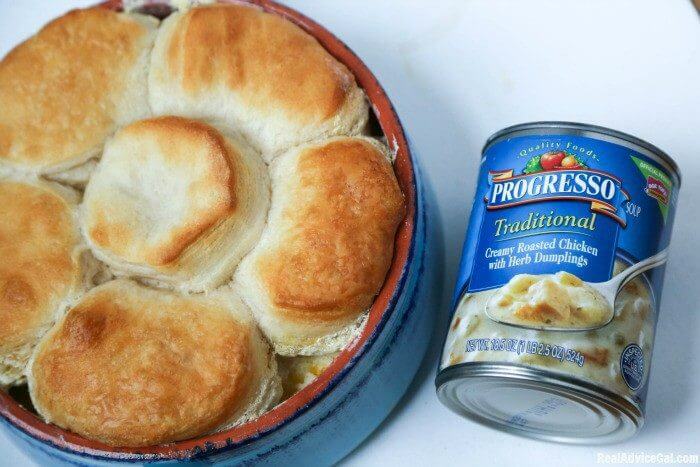 I add two cans of Creamy Roasted Chicken with Herbs Dumplings. Then add salt and pepper to taste usually 1/4 tsp of each. I cook the chicken in the soup at 400 degrees for 40 minutes. Then I place biscuits on top of the dish in the oven and cook for an additional 12- 16 minutes. 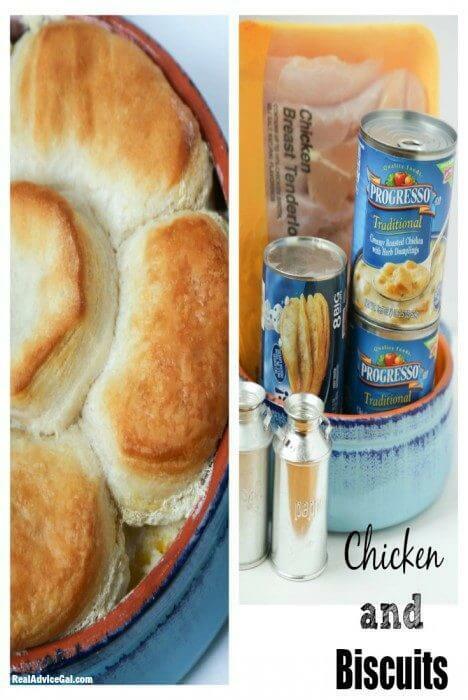 NOTE: Place a cooking sheet under your dish just in case the biscuits cause the chicken dish to overflow a little bit. Enjoy! 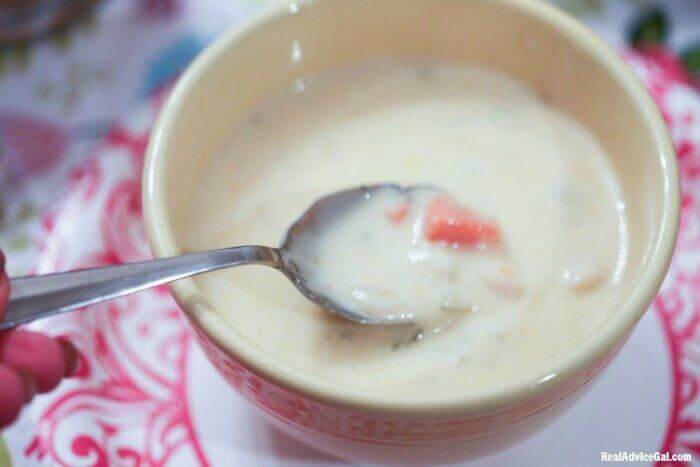 The truth is there are so many ways to use Progresso Ready-to-Eat soups to suit your mood, you can look on social media by using the hashtag #foodforyourmood. Progresso soups are filled with superior fresh ingredients, and aside from being easy to make they are delicious, you can pair it with a variety of other foods. I like how it hugs you from the inside!